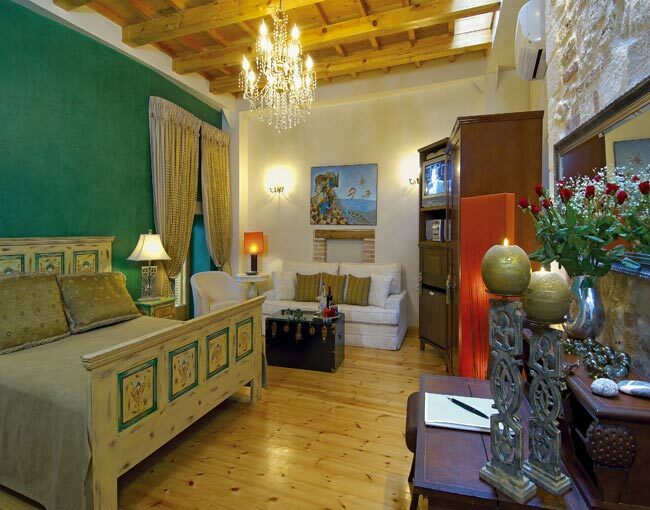 AVLI is a boutique hotel, member of historical hotels of Europe, located in the center of the Old Town of Rethymnon, Crete. 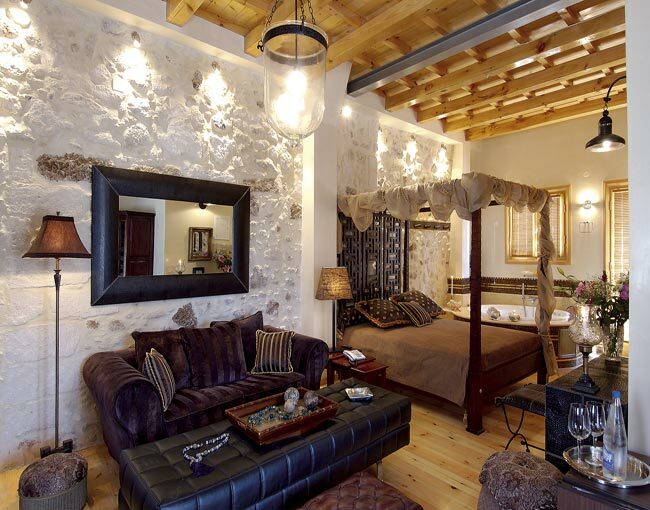 The 15th century historical building houses seven unique, high aesthetics suites which range from 37 to 58sq.m. 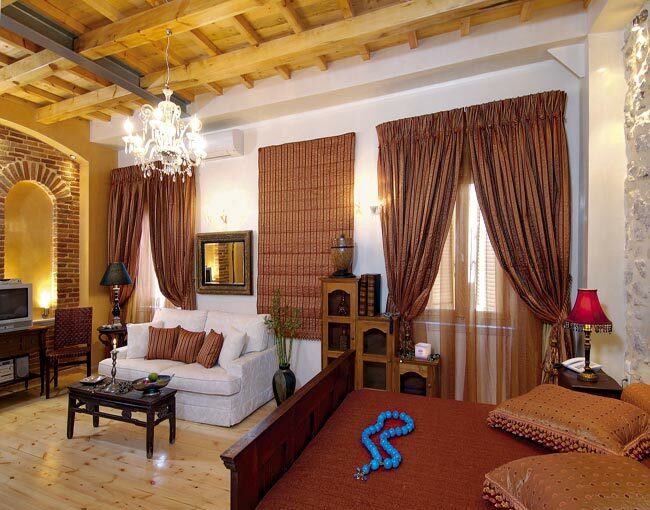 Each suite has been decorated individually and combines traditional architecture, antique furniture, modern comfort and luxury. A high class get-away for demanding customers who are looking for an exceptional experience in accommodation, gastronomy and personal service. 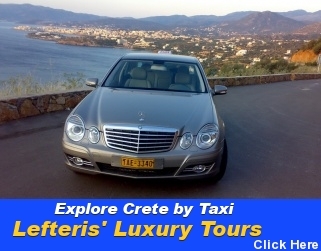 The high standard of gastronomy in Creative Cretan Cuisine, deluxe accommodation and personal attention is a wothwhile experience for those who are searching something unique. AVLI is the perfect destination for your customers and has been recomended by International Press such as Conde Nast’s Travellers, New York Times and the French Le Monde. 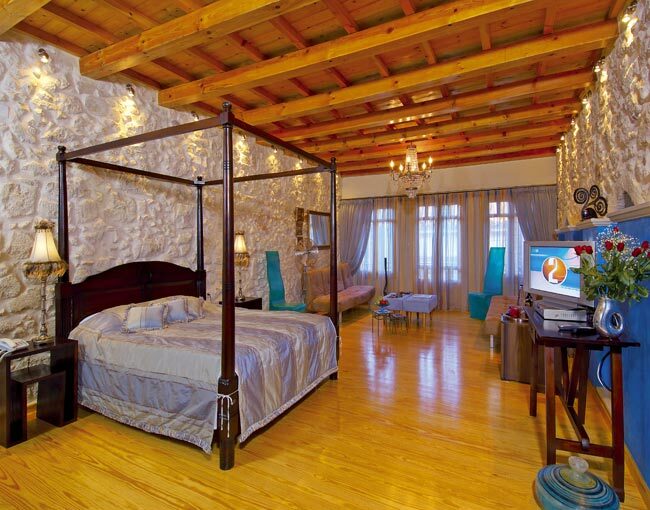 Seven charming Suites of exquisite beauty complement Avli's gastronomy and wine facilities. 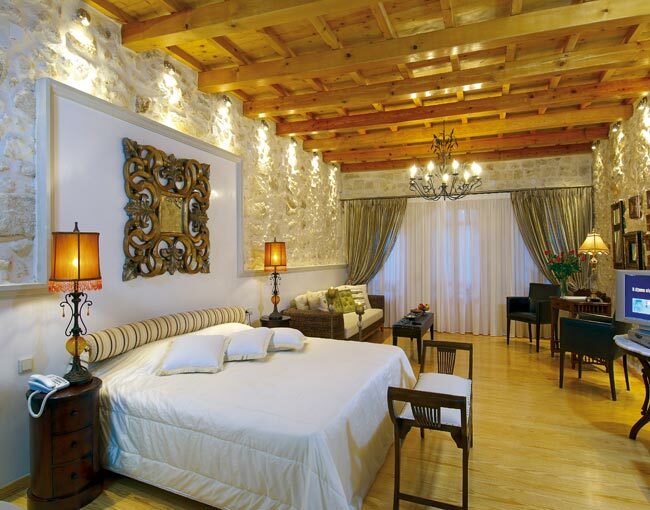 Each Suite pays homage to a unique architectural style based on the 15th century atmosphere and provides luxury comforts that meet ones's every need, inthe spirit of true Cretan Hospitality. On your arrival, they welcome you with fruit, sweet delicacies and soft drinks. On the traditional pebble-floored terrace, which offers a splendid view of the old city and the castle, you can enjoy a drink of read at leisure. 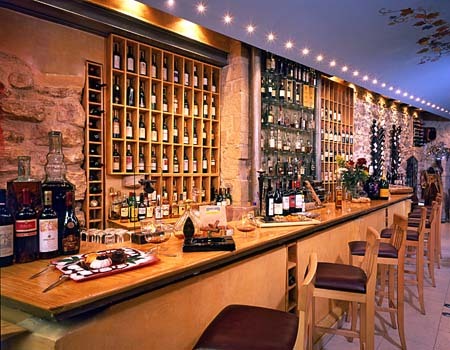 Wine Cellar: The wine cellar, is one of the largest in Greece, with more than 460 dfferent wine labels. You will find the ideal wine to accompany the delicious dishes that the chef prepares for you. 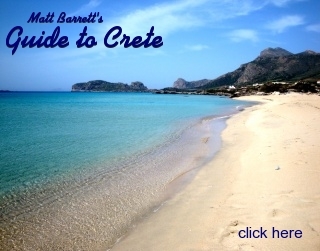 Selected greek wines, from both large and small producers, are kept at the perfect temperature and humidity, to ensure their quality, in the same cellar where 500 years ago the Lords of Crete stored their grapes from their lands. 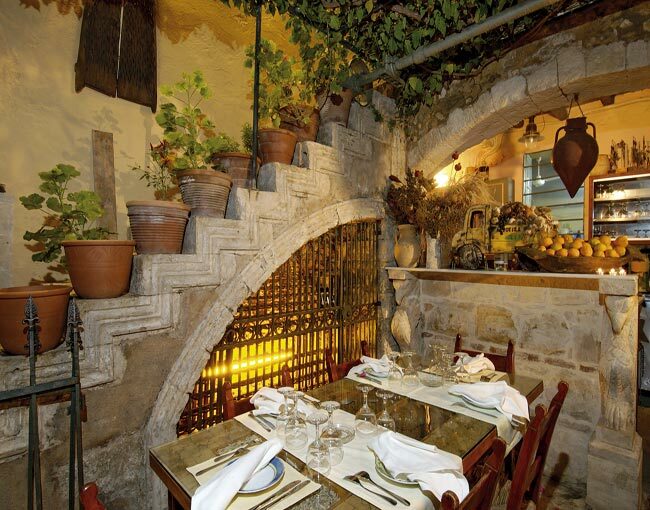 Restaurant: Apart from exploring the secluded coves, picturesque villages, breathtaking landscapes and ancient ruins, there is another, equally if not more, pleasurable way of acquanting oneself with a region-that of experiencing its culinary dilights. For the past 18 years Avli has been on a quest for gastronomic delicacies from Crete and the Mediterranean to stimulate your palate. Set in a Venetian villa with a blossoming garden and meticulous decor, Avli's culinary offerings will satisfy the most demanding of customers. You can view these photos full size by clicking on them.